While I use a tripod as often as possible, there are times that I have to handhold my camera. Here are some tips to be as steady as possible. This one makes all the difference. 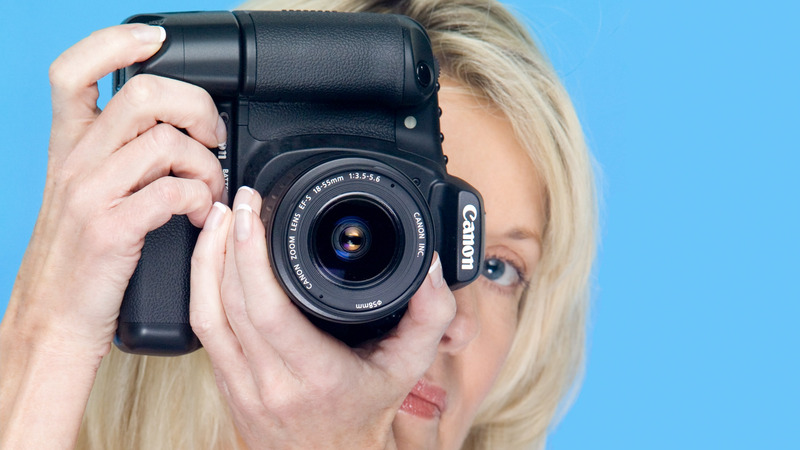 Cameras are designed to have the right hand on the grip with the index finger resting lightly on the shutter release. The left hand wants to cradle the lens. While most get the first part of this right, the left hand position is usually really awkward looking, not to mention a side or overhand grip offers no support. This is critical for a stable handheld experience. Most people snapping pictures have their elbows out like the wings of a bird in flight. Tuck the elbows in tight to the sides. This makes the elbows part of the body’s core and adds a lot of stability. The position of the body is another consideration. I can’t begin to tell you how many people I’ve seen standing with their feet together to snap a picture. It just won’t work well. Place your dominant foot forward. Shift your weight to that foot. Slightly bend that knee. The photo on the right combines all three stability tips. The photographer’s stance is wide with her weight on her forward leg. Her elbows are tucked tightly into her sides. Her right hand holds the camera’s grip while her left cradles the lens. This pose ensures the best result when not using a tripod.